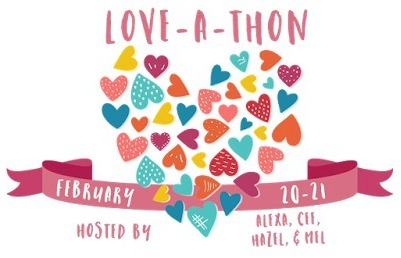 The Love-a-Thon is an event where we can share our love for our fellow book bloggers! The event is hosted by Alexa at Alexa Loves Books, Cee at The Novel Hermit, Hazel at Stay Bookish, and Mel at The Daily Prophecy. I always have so much fun with these poems! 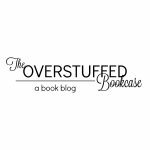 I’d love to see yours so leave me a comment and I’ll try to stop by and read your book spine poetry! 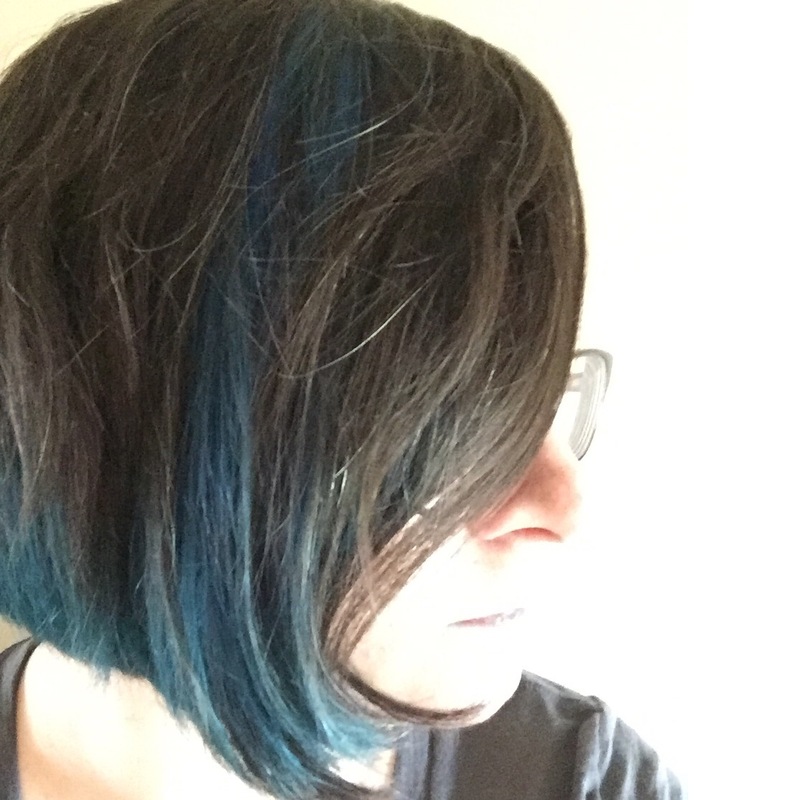 Book Blogger Love-a-Thon: Wrap Up! Wow, I love it! Especially these two lines: "The burning sky in a handful of dust, snow like ashes." they go together so well. Is that 'All These Things I've Done' by Gabrielle Zevin I see? Have you read it yet? I loved it! Andrea, this is SO good! I freaking love the opening of your poem ("This shattered world: a thousand pieces of you uprooted") because it's so dramatic. Lovely job! Aw Andrea! I love that! Such a great poem! WHOA, this is a powerful poem. 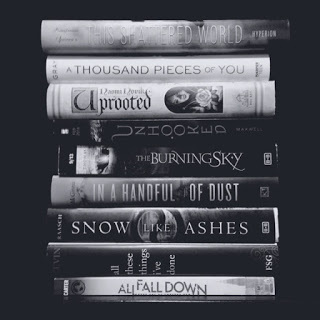 Really love these lines: "a thousand pieces of you uprooted" & "The burning sky in a handful of dust,/ snow like ashes." And the ending, what a beautiful ending!